You can have your bread and eat it too! 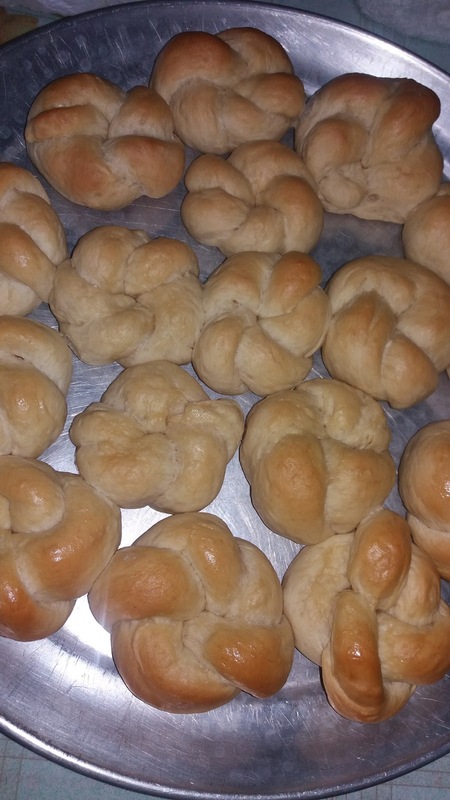 In today's post I'm showing you how to make some simple dinner rolls but adding some fanciness to them just by some simple twisting of the dough. These will make you look like a pro baker for any elegant dinner party. 4 cups of flour (all purpose) and extra for dusting. In a bowl whisk together flour, sugar, yeast and salt. To a medium bowl add water, milk and butter. Heat in the microwave on high power until it reaches 115 degrees C on a thermometer, about 1 minute 15 seconds. Stir to partially melt butter. Pour milk mixture into dry mixture in bowl, along with lemon juice. Knead about 3-4 minutes until smooth and elastic while adding additional flour as necessary. Dough should be lightly sticky but manageable. Cover bowl tightly with plastic wrap and rest for 5 minutes. Drop dough onto a lightly floured surface. Shape into an evenly level square, about 9x9 inches. Cut into 16 equal portions. 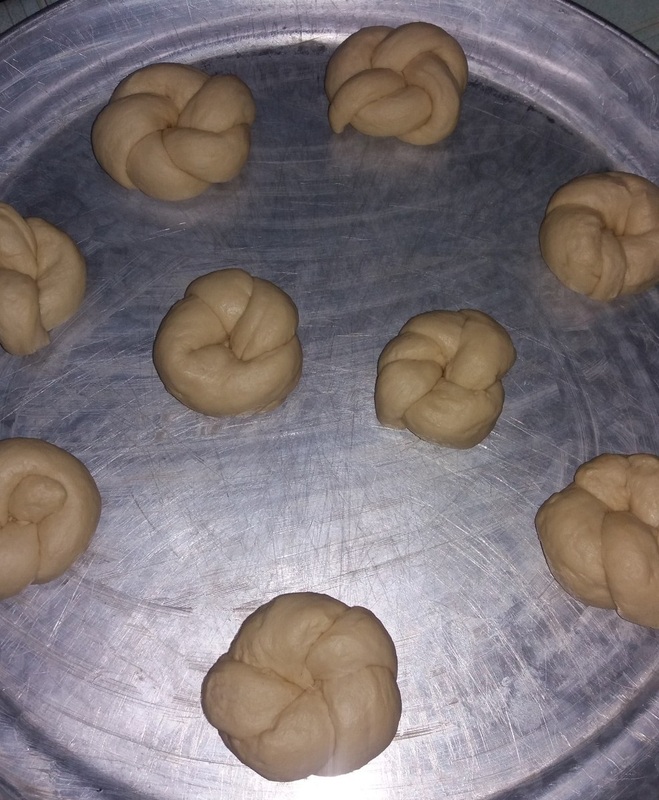 Shape dough into balls and place shaped dough into prepared dish. Transfer to oven, close oven and turn oven off, allowing rolls to rise 20 minutes. Remove from oven and preheat oven for 5 minutes. Bake in preheated oven for 14-16 minutes until tops are golden brown. 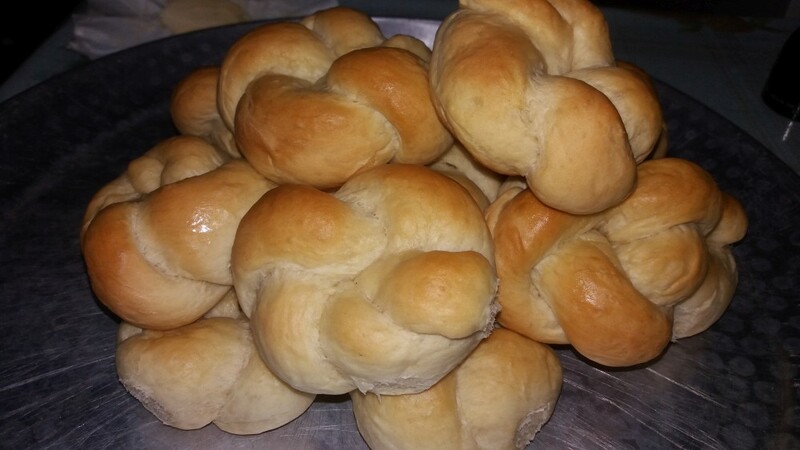 Remove from oven and run the top of a stick of butter along tops of rolls just to coat. Serve warm or allow to cool and store in an airtight container. 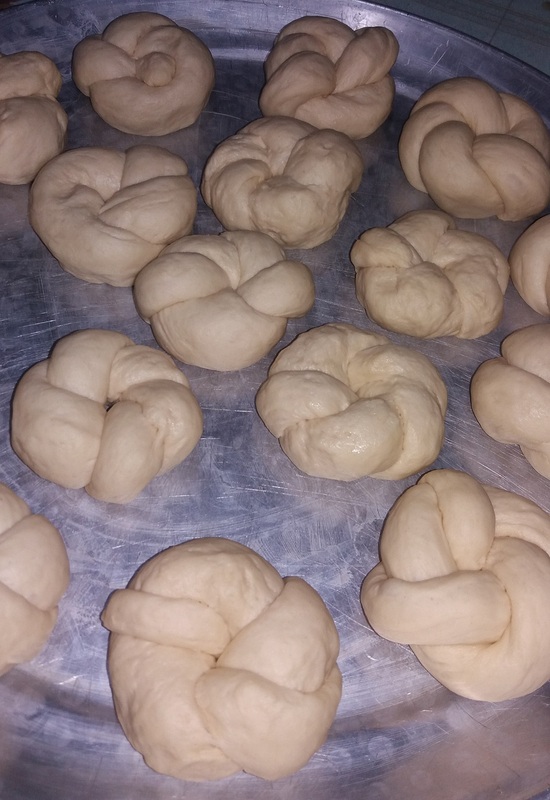 Shaping Rolls: You will want to roll dough into a 10 to 12 inch strand. Form a loop and simple twist under the section. Keep the ends tucked underneath. Out of the oven, ready to be eaten! I hope you enjoyed; give it a try and you might just surprise yourself how easy these are to make. Happy Baking!